MADL is a state-of-the-art facility (1450 sq ft) built by the Marine Diseases and Pathology Research Consortium partners in 2002 to serve as a marine diagnostic facility for New York State and as a center of marine disease research. The lab is equipped with necropsy facilities and state of the art Nikon microscopy equipment for episcopic and diascopic dissecting, and fluorescence, Nomarski (DIC), phase, inverted (Nikon Eclipse TE-2000S) and upright (Nikon Eclipse TE-200) compound microscopy with digital image capture and analysis capability on all microscopes (Spot Insight QE camera that is connectable on all microscopes, interfaced with a Dual Core computer loaded with 2 image analysis software: Image Pro and Image/J). 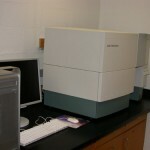 The laboratory is also equipped with a spacious Class II biosafety cabinet for aseptic work, a range of incubators (4 total), as well as many smaller instruments appropriate for cellular and physiological studies (3 centrifuges, 1 cytospin, 2 chemical hoods, 3 refrigerators, one -20C freezer, and two 28 cubic foot -80C freezers), as well as equipment for DNA/RNA work (gel electrophoresis and viewing equipment). MADL also has a wet laboratory space onsite (~450 square feet, DLAR-certified and completely equipped for experimental pathology work). Our faculty and students also have access to the Flax Pond Marine Laboratory (3 miles from our school). This compact, single-story structure with a total of 7,800 square feet of space, includes dry labs, offices and three large wet (running water) labs. 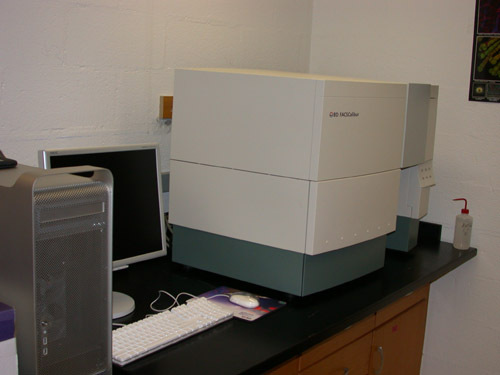 In addition to resources available in our laboratory, the School of Marine and Atmospheric Sciences also offers large technical and analytical resources, including molecular sequencers, trace element analysis, instrumentation labs, etc. (please visit http://msrc.sunysb.edu for more details). 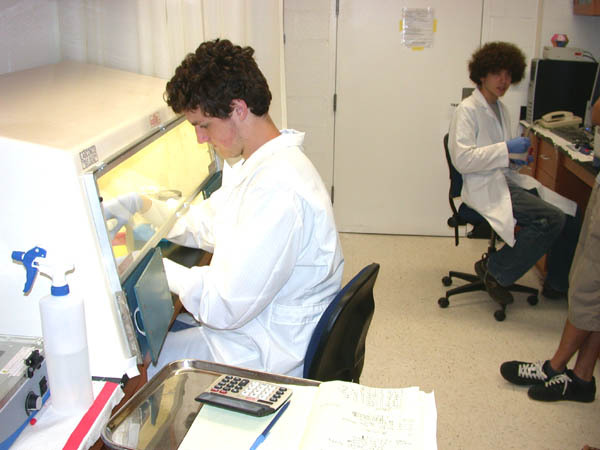 SBU’s research core facilities provide a wide array of resources including confocal and electronic microscopy, a proteomics facility and a bioinformatics platform (for more details please visit: http://www.osa.sunysb.edu/cores/).